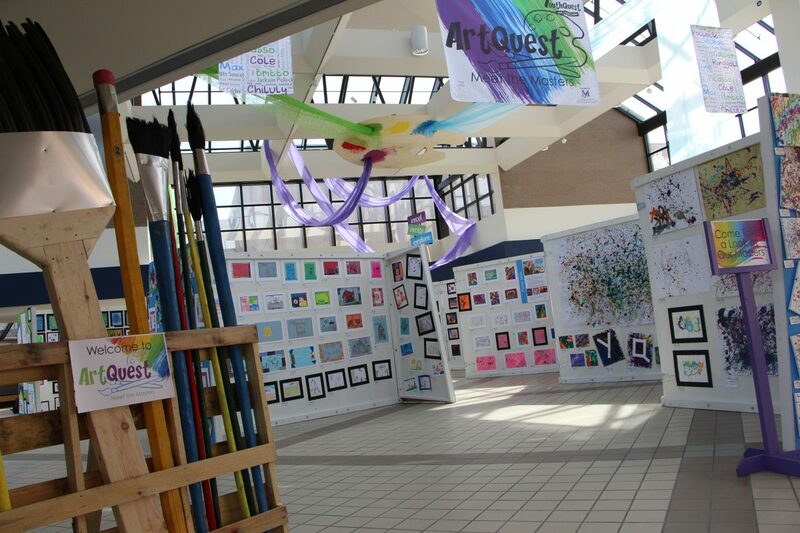 Flint, MI — From April 9-11, the atrium at Diplomat will be transformed into an art gallery featuring the work of students in YouthQuest’s afterschool program. Centering around the theme of “Street Art,” the three-day ArtQuest exhibition will be open to the public from 4-6 p.m. each day. During the exhibition, attendees can expect an immersive experience that is reminiscent of a street fair, complete with stilt walkers, magicians, mimes and a graffiti artist working in real-time. In addition to student art, there will also be murals created by local artists Charles Boike and Kevin Burdick. In addition to art and enrichment activities, YouthQuest – which receives support from the Charles Stewart Mott Foundation and 21st Century Community Learning Centers – also places emphasis on academic support, STEM (science, technology, engineering and math), physical fitness, nutrition, youth development and leadership, and family and community engagement. Admission to ArtQuest is free, although guests are encouraged to RSVP by calling (810) 600-1422. The event will be held at Diplomat, at 4100 Saginaw St. in Flint. YouthQuest is a high-quality, research-based afterschool program offering educational and enrichment activities that engage young minds. Available at 15 sites in the city of Flint and Genesee County, YouthQuest serves 2,000 students in grades K-12 each year. The program is administered by the Genesee Area Focus Fund, a supporting organization of the Flint & Genesee Chamber of Commerce, with support from the Charles Stewart Mott Foundation and 21st Century Community Learning Centers. For more information, visit www.yquest.org.